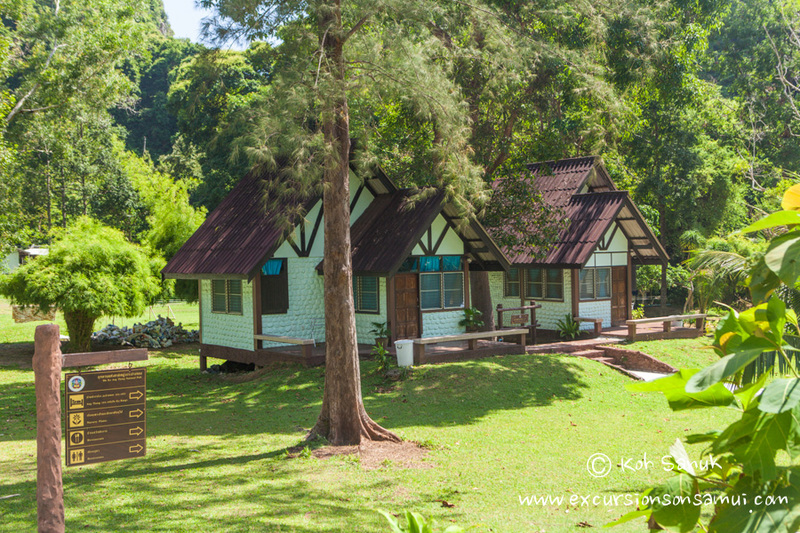 A unique opportunity to stay overnight in the place which inspired Alex Garland to write his famous novel "The Beach" - Wua Ta Lap island in Angthong national marine park. You can book a tour on a Big boat from Koh Samui or Koh Phangan with a return to the same island only. And also on the speedboat from Koh Samui with the return to Koh Samui. 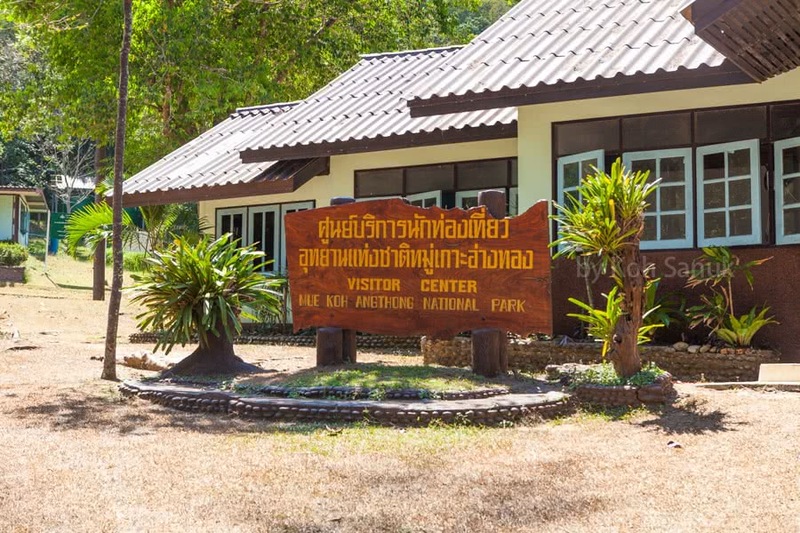 It will be a full day tour to the national park with an overnight stay in a bungalow or tent and return for the next or subsequent days by the same boat or speedboat according to the schedule. If you want to move to Koh Phangan after the tour in Angthong, then it is possible in case of booking a Big boat. After returning to the pier in Nathon on Koh Samui, from the same pier you can take a boat to Koh Phangan. The Lomprayah high-speed catamaran departs at 17.30 (arrival at 18.00, the ticket price is 300 Baht) or from the neighboring pier by the ferry of Songserm at 17.30 (arriving at 18.15, cost 200 Baht ). Arrival in both cases in Thong Sala. Tickets without problems can be purchased on the spot before departure. When booking a tour, be sure to specify: the type of boat (big boat or speedboat), tour with kayaking or without (only for tours on a big boat, on a speedboat tour kayaking is included in the price), type of accommodation (bungalow for 1, 2 or 3 bedroom or tent), the number of nights in the marine park. Voucher for tour and bungalow reservation you will receive automatically after payment to your email address. It is not necessary to print them out. It will be enough to show the reservation of the bungalow (with codes) on the reception during the check-in. It is advisable to take a screenshot since there is no WiFi in Angthong. The price is given per bungalow with the maximum number of people to accommodate. 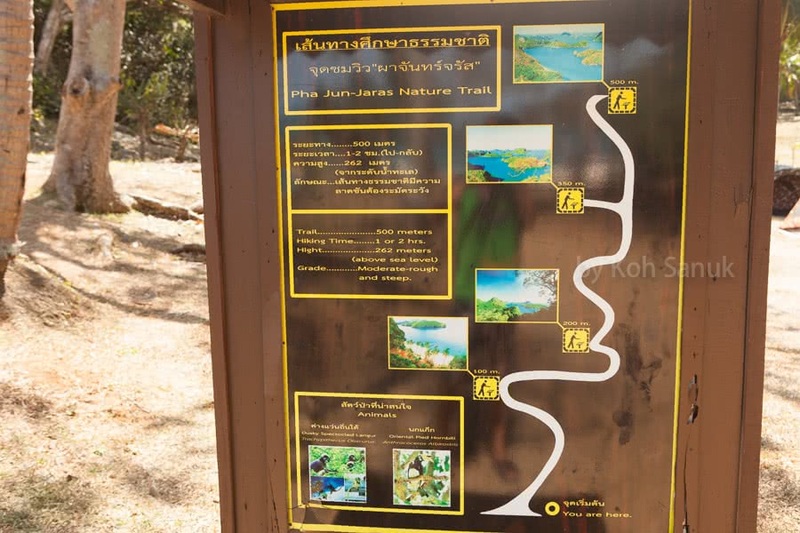 The Angthong National Park is closed annually from November 1 to December 15. 1 bedroom (2 persons), 1 water closet, mattress, fan. Non refundable. 2 bedrooms (6 persons), 2 water closets, mattresses, fans. Non refundable. 3 bedrooms (8 persons), 3 water closets, mattresses, fans. Non refundable. Waterproof tent with sleeping bags, pillows for 2 people. 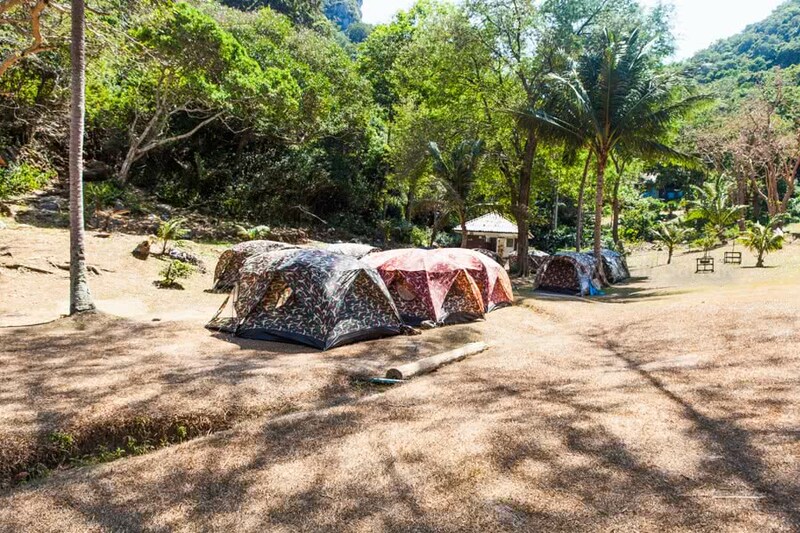 Payment 250 baht per tent in the park office only. Reservation is not possible. 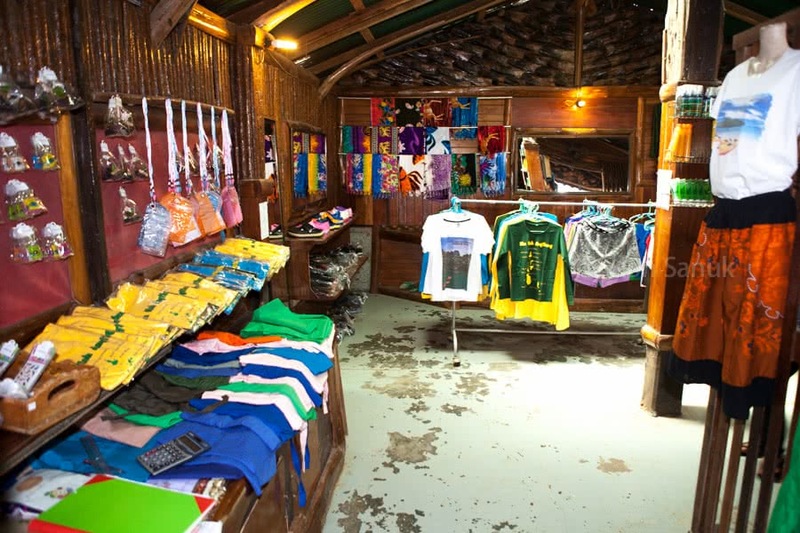 Kayaking equipment, waterproof bags for clothes only for the tour with kayaking. When you stay in Marine park you can rent the kayak for extra payment. 08.30 Departure, breakfast on board. 10.00 Arrival at Angthong National Marine Park, kayaking along the coast to Koh Mae Koh. For tour without kayaking, guests stay on board (you can rent kayak later while staying on Wua Ta Lap). 12.00 Thai lunch (buffet) and fresh fruits on board. 13.00 Arriving at the main island of the park Wua Ta Lap. Stay overnight here. Another day 15.00 Departure to Koh Samui/Koh Phangan. Coffee and tea on board. Arrival to Koh Samui/Koh Phangan and transfer to the hotel. 01.30 p.m. – Arriving to Wua Talap. Check in. 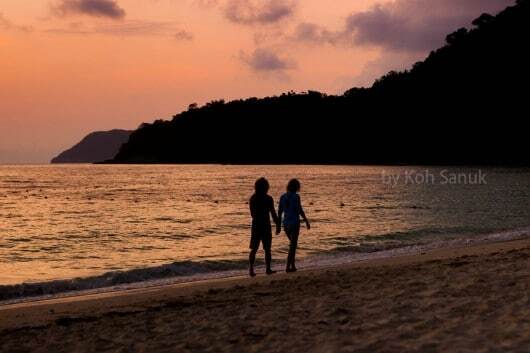 If you are having a vacation on Koh Samui or Koh Phangan and you are dreaming of the unforgettable romantic tour, we would like to invite you to Angthong marine park, but definitely with an overnight stay! 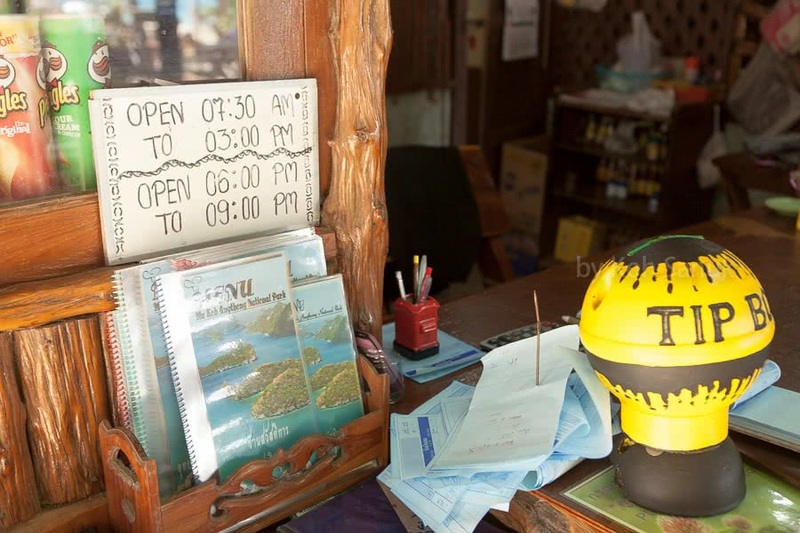 On Wua Talap Island, where you can spend one or more nights at your request, is the tourist office, a museum, a restaurant (open until 22.00), a beach bar (open until 4 pm), bungalows and camping for tourists, and lodges for tourists staff. 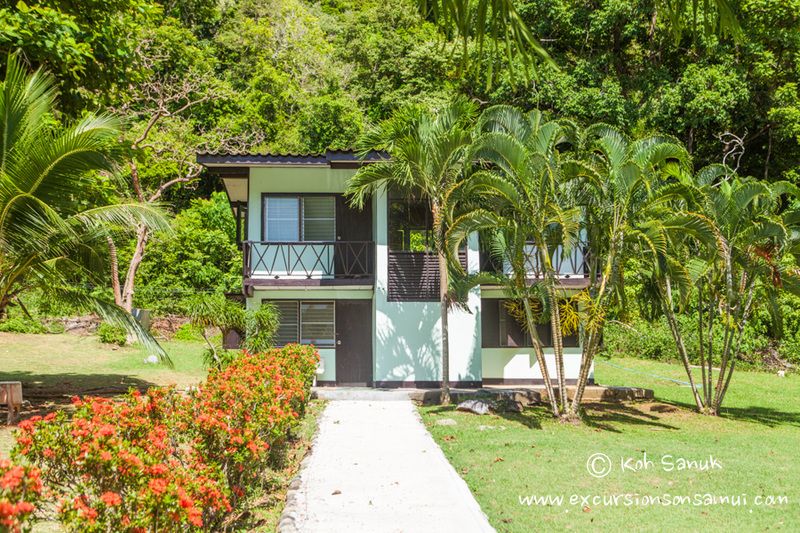 In the bungalow, there is electricity, a fan (no air conditioning), bed linen, towels. In two and three bedrooms bungalows there are two/three single beds in one room. Bungalows look like typical clean houses in Thai style. They are located behind the museum, without a sea view, but within walking distance to it due to the very small size of the island. You need to book and pay for the bungalows in advance. We make an advance reservation for you and let you know the date to which the option is kept. After receiving the payment, we attach the bungalow voucher to your order. 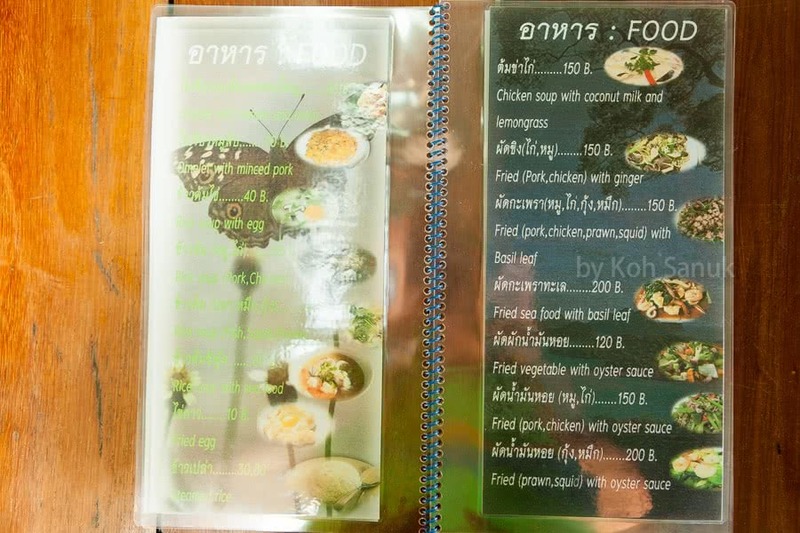 The cost of reservation and bungalow payment is 500 Baht. The price of bungalow for all booked nights and booking fee is not refundable. If you prefer a tent, then you do not need to book and pay it in advance. Only in the peak season, we make an advance reservation. Booking fee, in this case, is not charged. 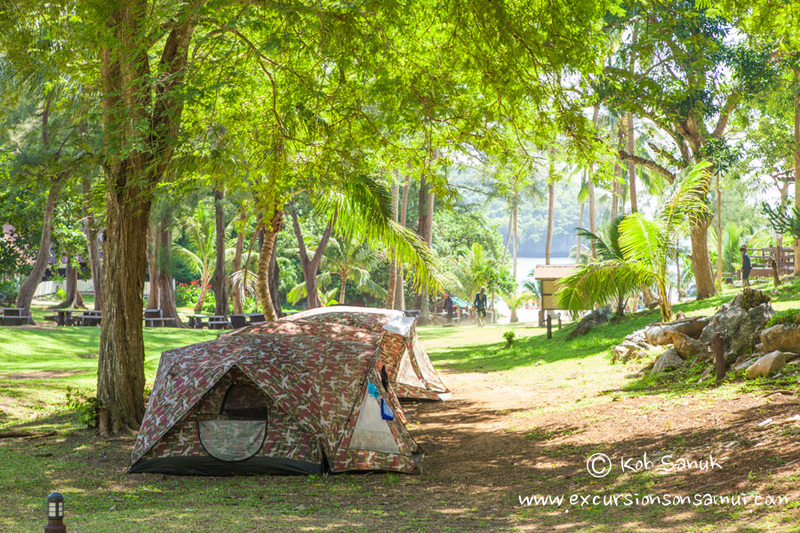 The tent camp is located a little closer to the sea, the outer tents even have a sea view. Tents are modern, waterproof, spacious, with mosquito nets on windows and doors. In each tent, there are 2 foams, 2 pillows, and 2 plaids. An additional set is available for an additional fee. The territory of the park is well-groomed, processed, the grass is sloping, so you should not be afraid of snakes and insects. How to get to Angthong? In the morning at the time indicated in the voucher, you will be picked up by the minibus and delivered to the pier. In the case of the Thai ship – in Nathon (Lomprayah pier), in the case of a speedboat – a pier on the Maenam. Big boat sails about half an hour longer than the speedboat, but also departs for half an hour earlier (at 08.30). So in both cases, you will be at the same time in the park – around 09.00 AM. 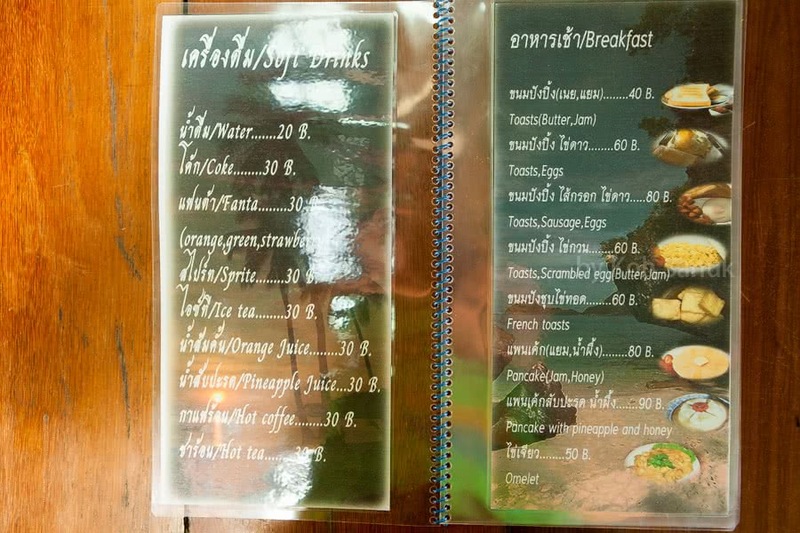 You will have a light breakfast with soft drinks, tea/coffee. 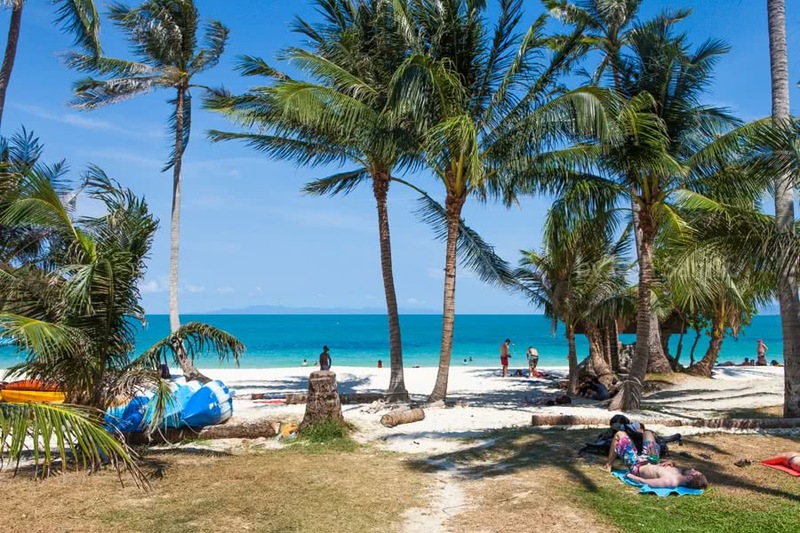 Under the program, you will first visit Koh Mae island with the Emerald Lake, and then after lunch, you will stop for a few hours on the next island – Wua Talap, where you will spend the night. 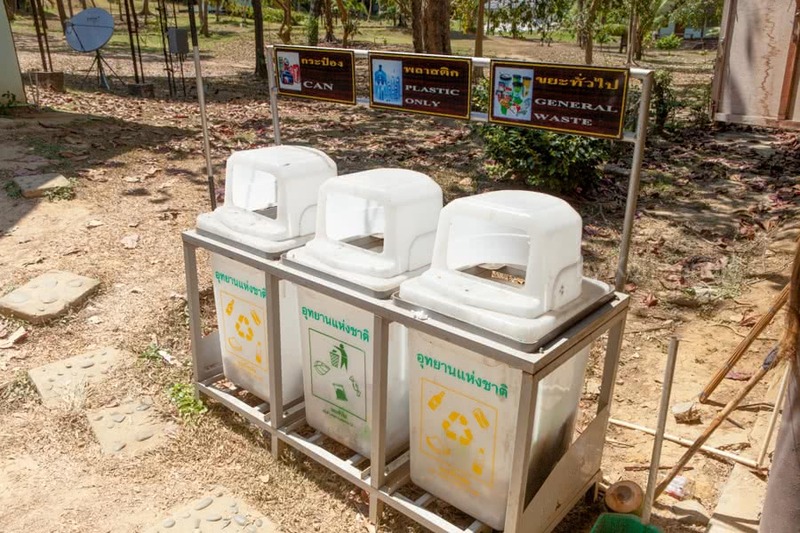 Firstly – pick up all your things from the boat. If you want, you can take the mask and snorkel from the boat with you (after making a note in the notebook). Remember that a penalty is levied for the loss of equipment. Secondly – we recommend you do not stay on the beach for a long time, and not try to reach viewpoint or Bua Bok cave in the heat. Better go directly to the reception which is located at the museum. Remember that guides will accompany you and will help you with check-in. At the reception show your booking documents (for a bungalow) or pay for camping. Thirdly – make yourself comfortable, relax, order some refreshing drinks in the restaurant. In few hours all crowds of tourists and boats will disappear and the island will be at your disposal! Now is your turn! As soon as the heat goes down, hurry up to explore the island. First of all, we recommend getting to the viewpoint before the sunset. To see the really stunning panoramic scenery of the islands, you need to reach the highest viewpoint that is located in a small rock. That is why comfortable shoes are necessary! The way to the highest viewpoint is not difficult for adults and even kids of 4-5 years old. In the evening you can have dinner at the restaurant that is open till 10 PM. 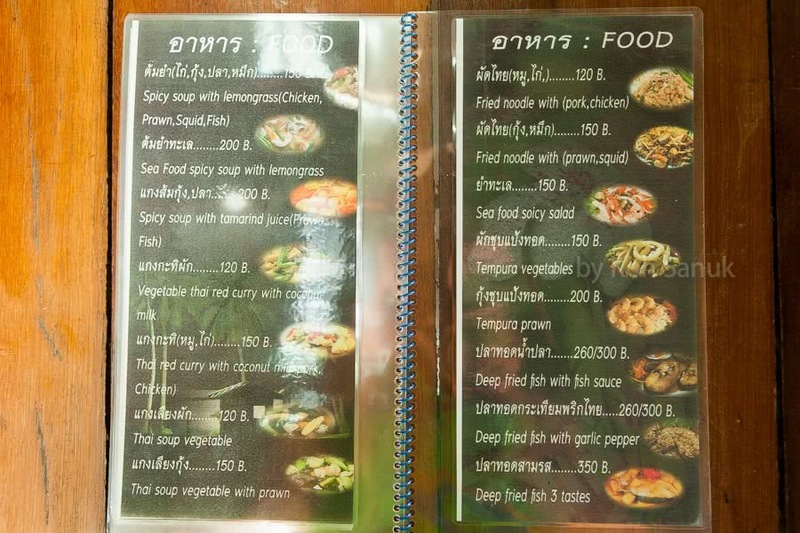 The menu can be viewed on this page gallery. 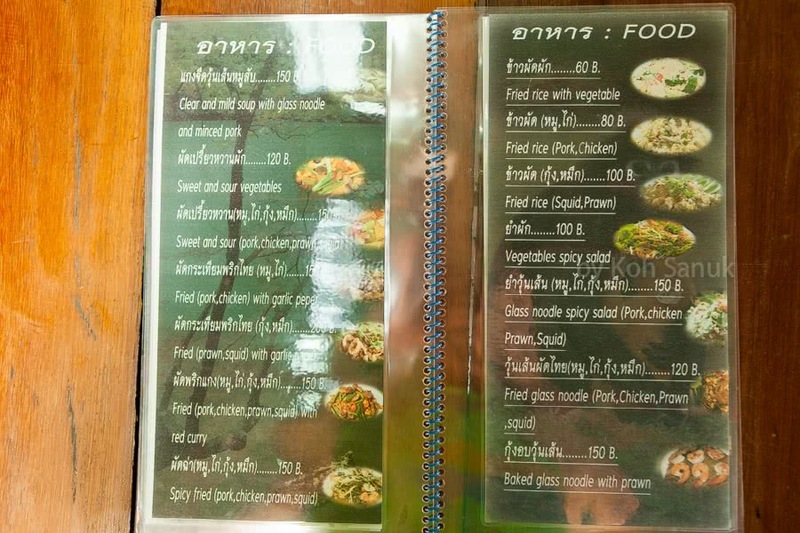 It is quite diverse, it features Thai and European dishes, there is a fruit plate. 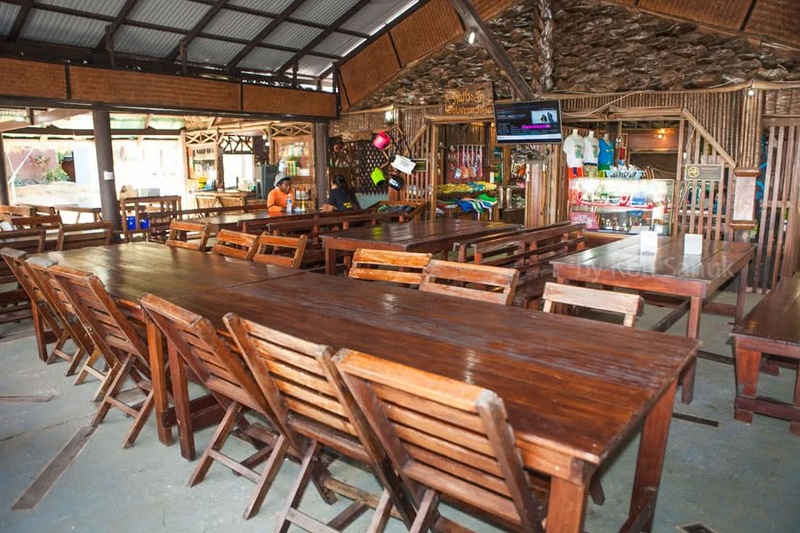 Prices are generally higher than in the roadside cafes on Koh Samui, but quite affordable. The island is very beautiful at night and especially good at a full moon. Enjoy the beauty of tropical nature, its sounds, smells, and colors. Be sure, you will remember this evening the whole life! Try to go to sleep if you want to see the stunning sunrise. In the morning after breakfast, we recommend you to go kayaking to avoid crowds of tourists (rent of one kayak is 200 Baht per hour). Please note that if you book a tour and go kayaking with a group and a guide, you will go over a large distance. If you will go kayaking by yourself, you will explore only one bay or only the nearest beaches. It is dangerous to leave the bay without a guide – big waves can arise! Also, you can easily climb to Bua Kok cave (the ascent is much easier than to a viewpoint, the cave is ordinary but children like it). When the tourists begin to arrive at the island, you can spend time on a deserted beach on the other side of the island (you should find a path near the houses and go along this path). Before visiting the beach, ask the staff about the water level on it, as there are often low tides there. And do not forget to sprinkle with repellents before entering the jungle. At 02.30-03.00 PM (your guide will tell you the exact time) you should wait at the place where you were landed. You will find it without difficulty if you know the name of the company and remember how the crew looks like. Do not worry if you do not find your boat – they will not leave you and will surely find you! At 04.00 or 04.30 PM (in the case of the Big boat a little bit later) you will reach Koh Samui or Koh Phangan and have a transfer to your hotel. Question: If I want to go by Big boat but I am staying at Koh Phangan or Koh Tao. Can I reach the pier by myself? Answer: At the moment we offer a tour by Big boat from Koh Samui and Koh Phangan, but as an option (since the cost of the tour from Koh Samui is less) you can take a Lomprayah catamaran from Koh Phangan which arrives at the pier in Nathon at 07.50 (departure at 07.20). This is the same pier, from where at 08.30 a Big boat departure to Angthong. You will have more than enough time to register. The ticket costs 300 Baht. From Koh Tao, Lamprayah speed catamaran departs at 06.00 and arrives at Nathon pier at 07.50. Ticket price is 700 Baht. Question: Is there a mobile telephony and internet on the island? Answer: There are a mobile telephony and internet by the AIS and TrueMove company. Question: Is there a power outage on the island? Answer: Very seldom. Only in case of any breakdowns. Question: If we are on Wua Talap and all tours to Angthong are canceled due to weather conditions. When will we be taken to Angthong? Answer: It happens very seldom, usually during the rainy season. In this case, your voyage will be extended for 1-2 days. If you want to book a tour to Angthong during the rainy season, please plan to return from this trip at least 3-4 days before returning home in order not to be late for the plane. Welcome to the virgin Angthong! 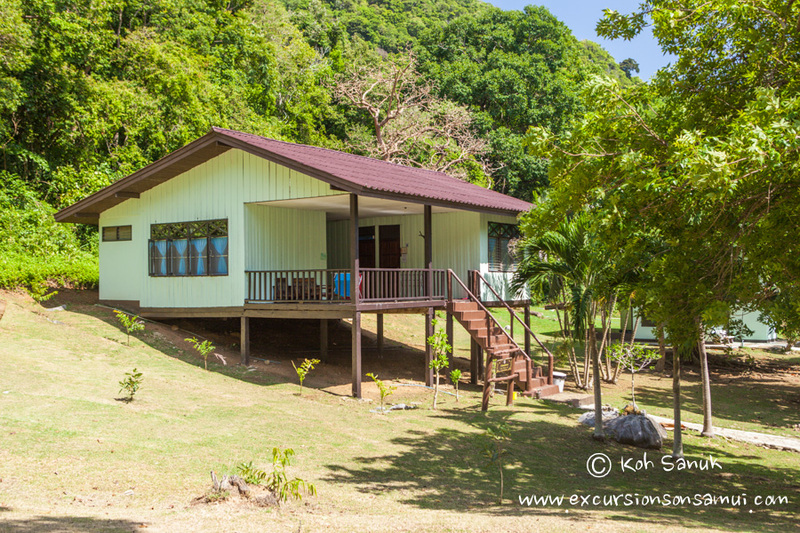 Reviews for "Romantic overnight at Wua Talap, Angthong Marine Park"
We were in a fairy tale! We want to tell everyone! Even a family of monkeys on the antenna deserves a praise! You can use your cell phone, but the signal is only enough for messages. No devices can be charged because current network is rotten, all the lamps blink. 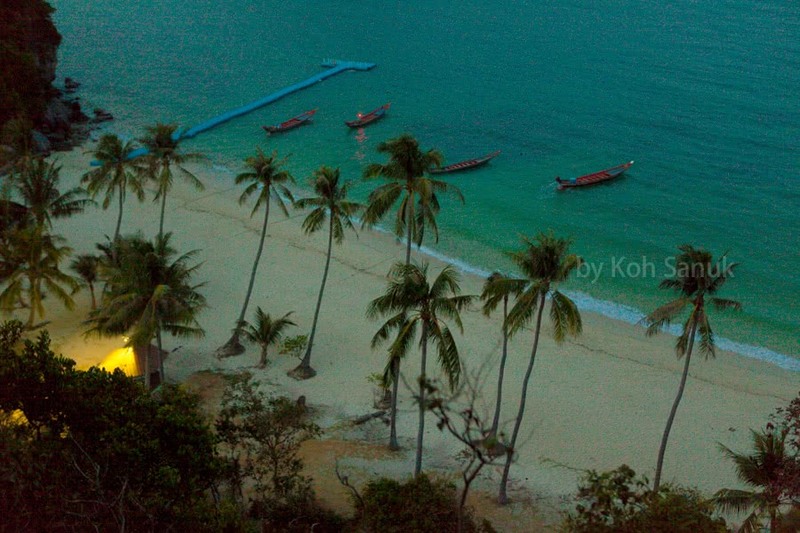 When you are back to Koh Samui, you find yourself in another civilisation. After we had spent the whole day kayaking between islands, my son told me that he wanted to stay there for 2-3 months. I also did not want to leave. We saw there a European who had been staying there in his tent for a month and said that he had visited ten parks in Thailand in such a way. As for accommodation is concerned, first we lived in a 6-bed bungalow together, on the ground floor there were two bathrooms and a hall, on the first floor there were two bedrooms, the bathrooms were too uncomfortable and there was almost no electricity (then repaired). And then I liked 2-bed bungalow: compact and almost neat(There were some cracks in the walls and there was no toilet paper). When I finally got the paper, I tried to put it in its place and hordes of ants attached me, so I had to run for help. But all this is trifle when compared to nature. It's gorgeous and I really want to go there now for a week or two. But first you need 5-7-day acclimatisation. The tour itself is, of course, somewhat formal: go here, go there, it's time to go back. We had some snorkeling but Koh Tao is more suitable for this. Kayaking here is around the island opposite to the camp (by the way, then saw wild pigs). On the observation deck, we climbed the next day while there was no one, we visited the cave today (did not impressed). In second bungalow with the electricity was OK, we could charge all the devices. Generally everything was Ok, the guide was very helpful. Koh Sanuk, thanks for a great trip! I recommend it to those who loves adventures.